A raccoon from the Caistor Centre area in West Lincoln has tested positive for rabies, Niagara’s first ground-level rabid animal (i.e. not a bat) in over 25 years. A total of 58 cases of raccoon rabies (42 raccoons and 16 skunks) have been confirmed in Hamilton and its bordering areas since December. 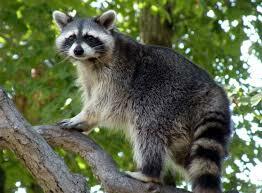 Prior to December, it had been over 10 years since any raccoon strain rabies had been identified in Ontario. The Ministry of Natural Resources and Forestry along with SPCAs and Humane Societies have increased surveillance for animals with rabies since December, and the identification of this raccoon as rabid represents part of this effort. MNRF has also dropped bait filled with rabies immunization to stop the spread of rabies in the wild animal population. Report wild animals exhibiting abnormal behaviour (particularly raccoons) to either their local animal control services, or directly to the Ministry of Natural Resources and Forestry Rabies Hotline at 1-888-574-6656 or Fort Erie Humane Society at 905-871-2461. Report immediately all animal bites or other contacts that may result in transmission of rabies to humans to Niagara Region Public Health at 905-688-8248, ext. 7269 or toll free 1-888-505-6074. Niagara Region Public Health is available to take calls about animal bites 24/7. For more information about rabies, call Niagara Region Public Health at 905-688-8248, ext. 7269 or toll free 1-888-505-6074.